A group of four women in dresses. 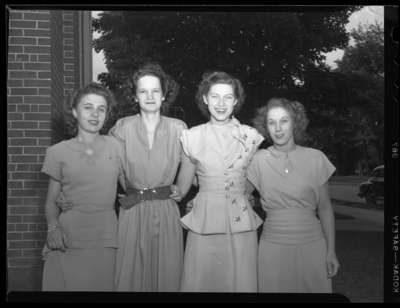 Oshawa Hospital Graduates (Image 3 of 4), June 1948, Marjorie Ruddy. Whitby Archives A2013_040_1231.